The term “child abuse” can be defined as any behavior directed toward a child by a parent, guardian, care giver, other family member, or other adult, that endangers or impairs a child’s physical or emotional health and development. While child abuse and neglect affect all segments of society and know no socioeconomic, cultural, ethnic, or religious boundaries, included among the factors which often contribute to child abuse are alcohol and substance abuse, lack of parenting skills, economic difficulties or poverty, domestic violence and previous victimization. 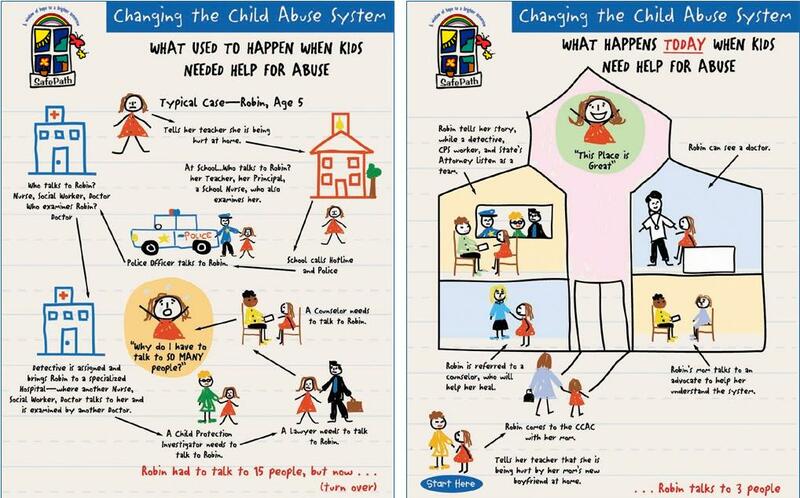 Click here for common signs and symptoms of child abuse. Click here for advice on what to do if a child discloses abuse. Child abuse and neglect is a national problem which has increased to epidemic proportions in the United States. More than 2.5 million reports of child abuse are made in the United States annually with hundreds of deaths related to child abuse reported each year. Most runaways, adolescent prostitutes and teenage delinquent’s report having been victims of some form of child abuse, and it is reported that a majority of violent criminals suffered abuse, either physical and/or sexual as children. Abuse robs children of the opportunity to develop healthy, trusting relationships with adults, contributes to low self-esteem, and impairs healthy psycho-social development. Indeed, the effects of childhood abuse often last a lifetime.